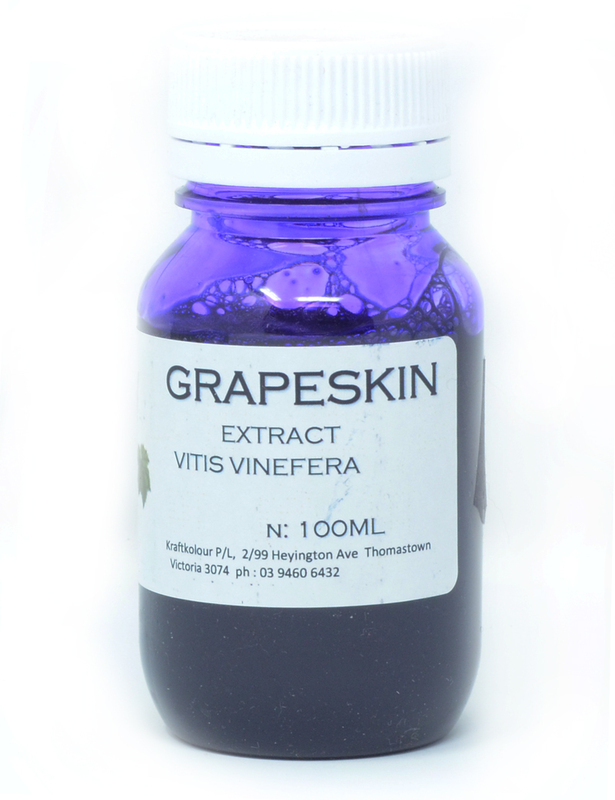 Grapeskin extract - Vitis vinifera, natural dye extract from an aqueous solution of grape pigments made from concord grapes in a concentrated solution. Grapeskin extract yields extraordinary bright, clear purples. Use 20mls extract per 100gms fibre gently at the simmer for 30 - 40 mins. This dye will exhaust onto the fibre. When the dyeing has finished, allow to cool in the dyebath and rinse well to remove any unfixed dye.